We work with some of the largest national companies in Australia as well as help small and medium business fulfil their marketing and online potential. Our strategic thinkers, digital artists and development gurus will love creating your next successful online strategy. 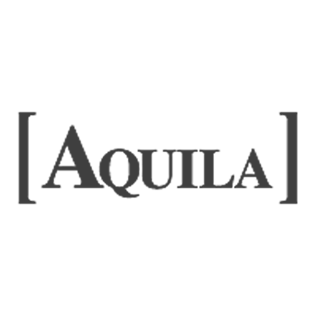 Melbourne-born menswear brand Aquila came to JTB Studios for a website makeover. Our team re-designed the homepage to reflect the brand’s well-crafted and high-quality products with a full width, responsive site. Internal pages were updated to let the products shine, allowing ample real estate to showcase the footwear and menswear using high resolution professional imagery. The resulting website is an intuitive site that guides the user’s journey through the homepage, highlighting specific products and taking them through to featured products. The new site is a stronger reflection of the brand’s integrity and craftsmanship, aligning their digital presence with their overall marketing strategy. 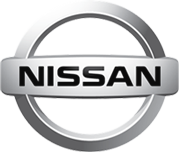 JTB Studios has enjoyed an ongoing relationship with the Nissan Motorsport team for some years. Initially designing and building the Nissan Motorsport website and ecommerce store in 2012, JTB Studios was reapproached for the website overhaul again in 2015. The approach was to create a user centric website that was content driven and easy to navigate. The result is a stylish design that aligns the branding of the top level Nissan website with the racing spirit of the Motorsport team. Fairfax Media is Australia’s leading media platform company. JTB Studios have recently completed two projects for Fairfax including the new Print and Logistics website and a complete overhaul of their distribution channel Integrated Publication Solutions website. The Fairfax Print and Logistics needed to be big and bold, introducing Fairfax’s printing and logistics offering to the public for the first time. The result is a simple to use website with clear information architecture and content strategy, an interactive print sites finder, comprehensive quote request form and a modern, clean design. The Integrated Publication Solutions (IPS) website required a complete overhaul of the strategy, design and the content management system. JTB Studios invested time in research, prototyping, reiterating and testing the website before approaching the user interface design. The resulting design is exciting and contemporary, repositioning IPS as a consumer website that supports their news outlet clients. Being one of the most recognisable brands in the world, Ford and its affiliate companies are a valued JTB Client. People are passionate about the brand the vehicles they sell. JTB Studios was commissioned to create a unique online strategy, which revolved around increasing the sales of licenses merchandise. Resulting in an extremely successful online strategy JTB Studios aided the growth of online sales of up to 800%. Melbourne University is Australia’s leading university and recently ranked number 41 in the Times Higher Education World Rankings. JTB Studios has an ongoing relationship with the university supporting the digital efforts of the faculties. This has included development work for blogs and online magazines along with content population. JTB Studios have worked with RMIT across three projects in the past year alone, ranging from functionality updates through to entire projects. The most recent project, RMIT e:Studio, saw JTB Studios creating an entire learning platform that allows students and teachers’ to communicate, learn, and display works in an online space. The unique collaborative space breaks the traditional communication route, as it takes the learning environment almost completely online, increasing engagement between all parties. With over 90 stores and still counting across Australia, Cold Rock sells their famous ice cream to thousands of people a daily. Cold Rock employed JTB to spread the online message of their product. With a unique branding and product strategy JTB was able to create a stunning final outcome for their online strategy. Working closely with a major Sydney University, JTB studios create a unique online learning platform for one of Australia’s best known brands. JTB Studios came up with a revolutionary experimental rich media interactive solution to ensure Woolworths clients had the best service and experience whilst shopping at one of their many stores. With a rich heritage dating back to 1840, Harwood Andrews Lawyers is one of Melbourne oldest and most successful legal firms. JTB Studios has worked very closely with the team at Harwood Andrews to create successful Ecommerce and strategic online campaigns. Barry Plant is one of the most renowned and established names in real estate. JTB Studios has worked on festive projects with Barry Plant to help its employees and clients bond in an interactive rich media environment. Air Liquide is the world leader in gases for industry, health and the environment, and is present in 80 countries with 42,300 employees. JTB Studios worked closely with Air Liquide to improve safety with the aid of creative print, and safety manual design.